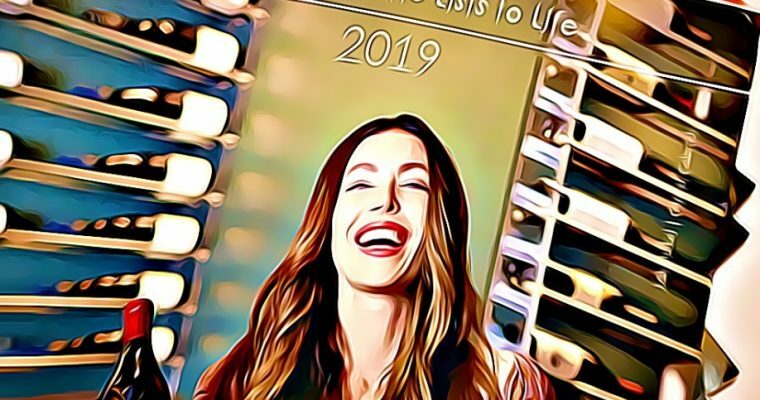 The 15 things wine lovers need to know when buying a wine cabinet that will ensure the make and model they choose is the best one for their home or business. My new wine cellar was completed in early December 2018 and I absolutely love it! 1. Design & Quotation: Gary LaRose showed up on time at our home and quickly set to work looking over the area selected for the cellar. He took careful measurements, then re-measured a couple of dimensions again to ensure he was very accurate. He talked through some options for the cooling equipment and racking, as well as cellar design. He then recommended I drop into Rosehill’s showroom to look at some racking choices, materials and finishes, as well as cooling equipment choices. I had already been to the showroom, just before I decided to add Rosehill to my shortlist, but I went back a couple of times to get ideas and make decisions on various items. Rosehill’s west end showroom is well laid out and offers several material choices, colours and racking options, which makes the decision-making a lot easier. A week later I received very good drawings and a detailed quotation. I had a short list of three contractors for this project and without any question, Rosehill’s drawings and quotation were the most detailed and easiest to understand. They also offered the best use of the space, as my cellar was not that big (7ft x 8ft). After some discussion with all three contractors, I narrowed it down to two and then had detailed discussions with both. After a couple of discussions, it became clear that Gary’s experience and practical approach offered the best value for money and a proven track record with lots of satisfied customers to which he could refer. Rosehill’s design was a little more imaginative than the other two contractors, particularly the diamond shelf below the stone counter. Also, I really wanted a glass door and glass window beside the door so I could see into the cellar and have its ambience add to our beautiful basement recreation area. Gary came up with a very nice design to achieve this objective, but do it in a way that did not weaken what was a support wall for our two storey home. So I made the decision to go with Rosehill, subject to a satisfactory contract. The contract paperwork was simple, easy to understand and the milestone payments set to work stages completed was fair. 2. Room Preparation – What’s really good about Gary is the communication. When he says his team will arrive on site to work on a certain date and time, they show up and don’t waste time getting to work. The first stage (stripping down the room and preparing it for racking) was done very well. I kept the same tile floor (Gary’s suggestion) to save money, and it looks great with the new cellar. Everything else was re-done, including framing, spray foam for insulation and very precise square joints, door and window framing by Rosehill’s very skilled tradesman, Chris. It’s important to note that Chris was employed by Rosehill and not an independent contractor. The spray foam people were a contractor, but Chris was there to supervise and ensure this task was done as agreed. What was appreciated by us was that every night Chris was tidy up and put away slip covers so that we could continue to use the rest of our basement living area. Also, Chris very carefully covered all nearby furniture and carpeting with plastic to protect it. Even the tile floor in the cellar was covered over to protect it during construction. 3. Problem Solving – When the room was stripped down, we were surprised to find a solid concrete wall on one side of the cellar room that made placing the equipment room just the other side of the wall not possible. Gary quickly arrived to discuss the problem with Chris and myself. They quickly came up with an amended design for the equipment that involved a ceiling mounted cooling unit instead, but with the compressor still outside. This solution turned out to be very good and works well in the cellar. 4. Final Racking Design – Gary and Chris both separately re-measured the finished room for the racking a couple of times. The attention to detail and precision was impressive and appreciated. As a result, Gary came up with a suggestion to tweak the design to improve the look of the cellar in terms of crown molding and overall balance with the window and door frames. At the same time he ensured that the bottle count for the cellar was maximized. I looked over the amended drawing and could quickly see this final amendment to the racking would look much better, so I gave the green light to do it. This started the racking design, which included walnut wood with a bees wax finish — have a look at this in the Rosehill showroom as it’s stunning. 5. Final Racking Installation – Chris returned six weeks later to start installation of the racking. Accompanying Chris was Rosehill’s delivery truck that had all the carefully packaged racking material, including beautiful a beautiful stone counter top I had seen in the Rosehill showroom (“antique leather”). After carefully unloading everything, Chris started to work. His experience and professionalism was evident, as he methodically prepared the installation. Its also important to note that Rosehill has its own carpentry shop next to the showroom that does all the racking and cabinet building and finishing — this ensures that what you get is exactly what was agreed in the drawings. The installation by Chris was done in careful sequence, including getting the two sub-contractors (mechanical cooling equipment and glass window/door) were brought in for measuring and installation at the appropriate times. Again, Chris was always on hand when they were there to ensure that what they did met Rosehill’s requirements and commitments to me. 6. Attention to Detail – There were lots of pleasant surprises when the installation was progressing and completed. Here are a few: (1) Walnut door leading to adjacent cold storage was solid and beautifully crafted. It was fitted perfectly and included a special weather strip built into the bottom of the door that comes down automatically when the door is closed. (2) Chris checked with me on location of ceiling lighting installation, window location and size next to glass door to ensure I was happy with it. (3) Glass window its a double thermal pane for better insulation performance. (4) The walnut wood used for the racking, wooden door to cold storage room, crown and floor molding was well chosen of the highest quality. (5) glass door is solidly hinged to floor and self-closes. (6) crown molding on ceiling, door frames and floor molding is very detailed and installed perfectly. (7) the warranty paperwork for the mechanical cooling equipment was completed and submitted to the manufacturer by Rosehill on my behalf. (8) During the cellar work, for a reasonable extra charge, Gary also did a few add on jobs for us, in addition to the cellar, that were much appreciated: A few odd-shaped kitchen shelves were cut to fit an odd shaped pantry; special door to access water meter and water shut-off valve in basement; some drywall work around the cold storage room furnace ductwork. 7. Anything I didn’t like? – Really there was nothing, mainly because Gary was very upfront about everything (including the timetable), so that my expectations were always met or exceeded. Remember, it does take months not weeks to get a cellar installed properly, so don’t expect it to be wrapped up quickly. Also, it’s done in two stages for very good reason: (a) Completion of the cellar room preparation comes first, then the cellar room is re-measured to ensure the racking, cabinets, door/window frames, crown molding, etc. fit perfectly, it has to be re-measured carefully so everything fits like a glove — and it does. (b) After re-measuring the finished room, then the racking, cabinets etc. was all built in Rosehill’s shop, which took about 6 weeks before they returned for racking installation. Every item in the contract was honoured by Rosehill. 8. Finished Product – We now have a beautiful and very functional 650 bottle wine cellar that we enjoy. Our friends and relatives were very impressed and complimentary when they saw it for the first time over the Christmas holidays. It has added to the value of our house and will give us many years of enjoyment. Our thanks to Gary and his excellent team at Rosehill Wine Cellars. Behold a proud wine collector’s new cellar showcase. See how every wine bottle’s paper label is clearly displayed? 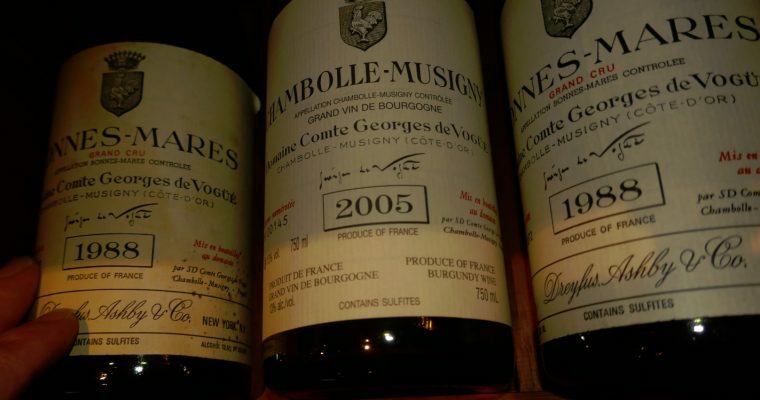 The bottles are presented here like proud works of art. Imagine how fun it would be, or perhaps how overwhelming it could be, to come here each evening and have to select just one or two bottles to compliment your evening meal? 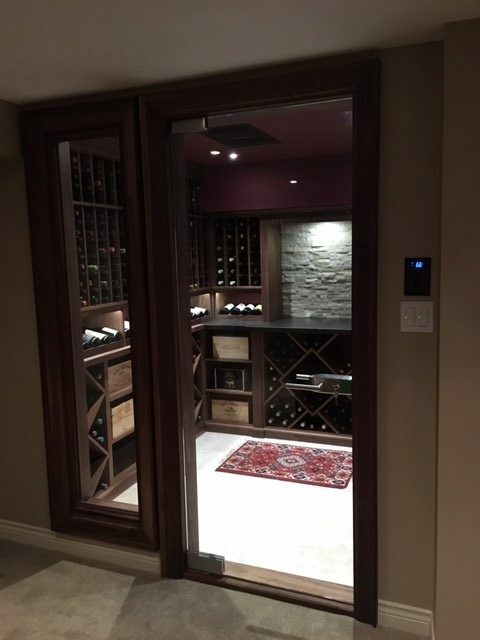 Metal wine racking systems from Rosehill Wine Cellars improve this home’s basement wine cellar. A wine collector could spend hours in this room just sorting through the vintages and making lists, columns and special racks. Above is a great example of how good wine racking provides both storage and beauty in a wine cellar. Your wine collection deserves to be creatively displayed, and the bottle side racks are just some of many different designs to choose from for wine racks, including styles that complement your home décor; the most luxurious homes have complimentary wine racking systems that age like fine wine with the house. Your kitchen is truly complete when you have a handy under cabinet wine racking system that also holds six stemmed wine glasses. 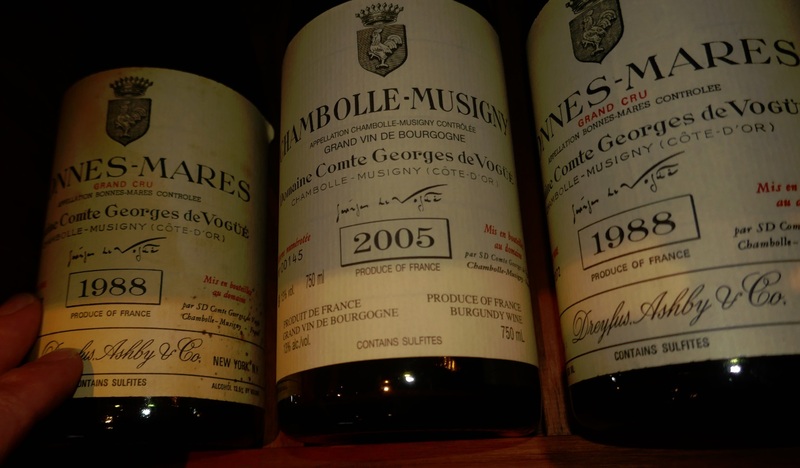 Keeping bottles of wine handy makes sense for your lifestyle. It saves time to store the bottles of wine you plan to have with coming meals handy. Storage for stemmed glasses is always a welcome addition, especially with this type of unit, which also allows the glasses to air dry. 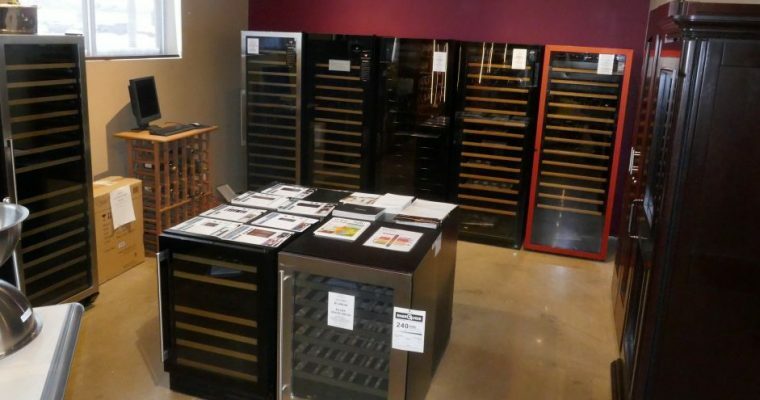 If an under-the-cabinet wine rack isn’t sufficient for the wine storage you want to add to your kitchen, the Estate Wine & Glass Rack available at Rosehill Wine Cellars may be ideal. This chrome finish wine racking system stores eight bottles of wine and up to 15 stemmed wine glasses. This is a serious wine rack for true wine lovers, and it has all the style needed to match a wide range of décors. You can display 24 bottles of wine and add artistic design to your home or wine cellar with a Pinna24 wall-mounted wine racking system. Choose from two finishes: Espresso and Vintage Wood. Make an imaginative statement with the display of your wine collection in this unique wine rack available from Rosehill Wine Cellars. Nothing says luxury like granite and a granite wine display bottle may be the ideal addition to your wine cellar or bar in your home. The 490-pound conversation-starter is a 48”-tall, 12”-diameter sculptured wine bottle made with polished granite; and it is perfect for entertaining. You would be hard-pressed to find a more interesting wine racking system to display up to nine large-format bottles of wine. Engraving is optional. For homeowners with a wine cellar in the home that has a glass wall, a floor-to-ceiling wine racking frame is ideal for displaying the wine. The standard height is 10 feet, but the unit can be custom cut. Taller sizes are also available, including 12ft and 15ft models. The finishes available for this excellent wine racking system include Black Satin and Platinum or Brushed Nickel Finish. 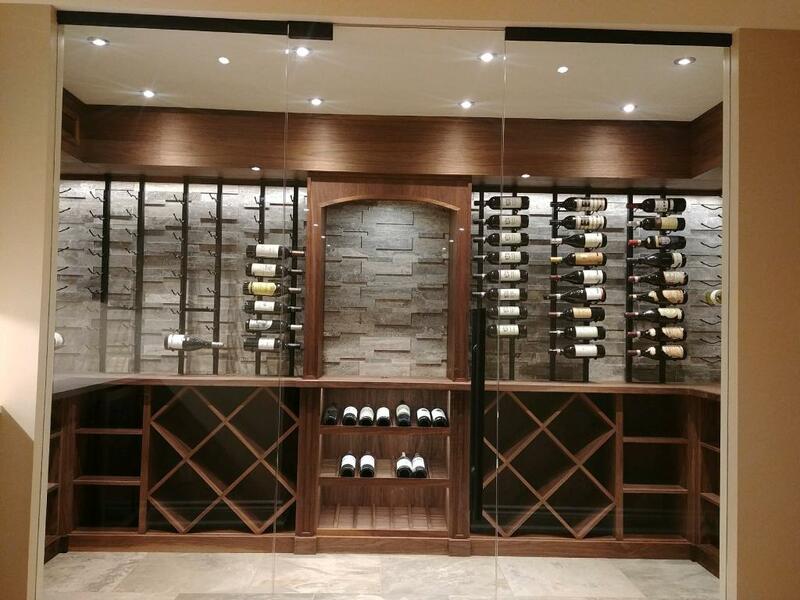 For a serious wine collector, the best option for wine racking is a wine cellar, such as the custom wine cellars available from Rosehill Wine Cellars. You can help to design the wine cellar of your dreams. In addition, you can opt to have luxury wine racking systems in your home and wine cellar. Go to the Wine Racks tab at RosehillWineCellars.com. Feel free to call us at 1-888-253-6807 for more information.